Find out what scholarships are available to you. Review this guide to help ensure a smooth transition and a successful time at Nebraska. 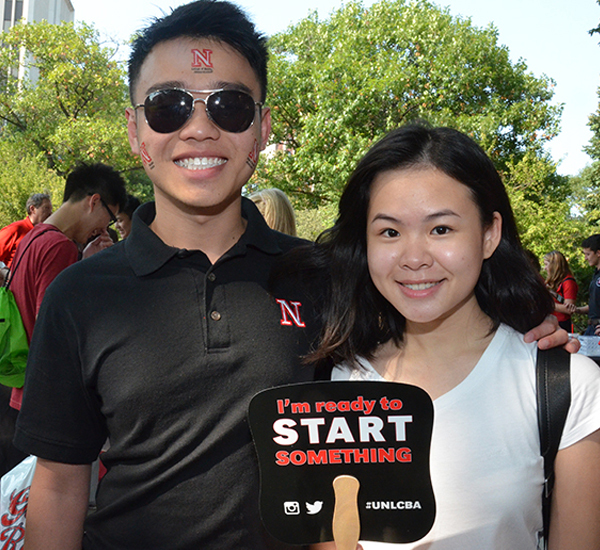 Visit New Student Enrollment to learn about registering for class and mandatory orientation. 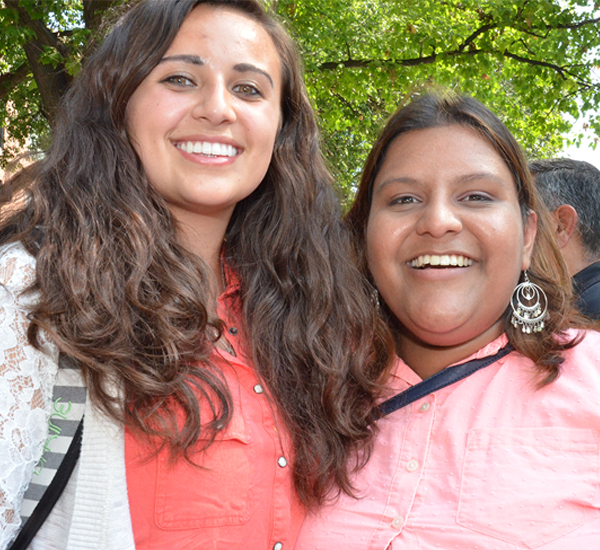 Meet our advisors and peer international student advisors and learn about all our degree options. Learn about the Career Readiness Certificate designed to help international students find jobs. Find out about all the student clubs available including the Business International Student Association. Note: Transfer students are directly admitted to the College of Business if they have at least a 2.5 cumulative GPA at their previous institution. Visit the Business Undergraduate Bulletin for further College of Business transfer credit policies. Students can use the Transfer Equivalency Guide Transfer Equivalency Guide to determine if direct equivalencies have already been established for their previous institution. New international students transferring from institutions in which Nebraska does not have a partnership established may need to have their transfer credit evaluated in order for the credit to count for a specific degree requirement. Evaluation means that some courses taken at international institutions require an evaluator (professor) to review the course syllabus. If no course syllabus is available, some professors might accept a course description, but a course syllabus is always preferred. All Accounting courses needing evaluation should also include a copy of the table of contents of the textbook used in the course along with a course syllabus. If approved, students may receive credit for their course. If a course is not approved, a student may or may not receive credit. Not all courses need to be evaluated; only courses that may apply to a Nebraska degree should be evaluated. This process could take a total of 1-2 months. Collect copies of a course syllabus and/or course description (and a textbook table of contents for accounting courses), written in English, for each class you would like to have evaluated. This may involve contacting your previous institution for a copy of the syllabus and/or course description. Bring course syllabi, course descriptions, and a textbook table of contents for accounting courses, with you to Nebraska. Meet with a College of Business Academic Advisor to begin the transfer credit evaluation process during the second or third week of your first semester at Nebraska. Submit your course evaluation materials to the appropriate departmental evaluators. Wait to hear from the academic department by e-mail for the results of the evaluation process. More information regarding the transfer credit evaluation process can be learned by reading the Transfer Credit Evaluation Process Handout. The International Student and Scholar Office helps international students maintain their immigration status and comply with U.S. employment regulations. The First-Year Experience and Transition Office offers various resources and workshops for international students to make a smooth transition process. Meet with an academic success coach who is passionate about international student success and transition to U.S. culture. The office also offers free academic tutoring. University Housing offers additional services to international students including activities planned by the Residential International Student Coordinator. You can also enroll in CYAF 121 U.S. Education in the Age of Globalization (3 credit hours) your first semester to learn about the U.S. education system and participate in conversation partners. When international students come to the College of Business they have the opportunity to compete for the International Student Scholar Award and a variety of scholarships from the College of Business.